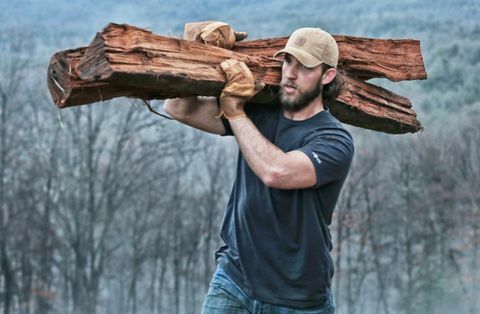 Madison Bumgarner proudly wore Carhartt shirts long before his recent partnership with the women’s and men’s workwear company. But the left-handed MLB pitcher has the work ethic that Carhartt specifically strives to make their rugged products for, so this Spring 2015 Force campaign just makes perfect sense. Bumgarner’s down-to-earth personality is just one of his many great qualities. He wanted to shoot a Carhartt commercial right on his ranch. This gave him the opportunity to show all of us that, even though he has three championship rings in just five baseball seasons, he’s not afraid to get dirty performing the lowliest of barnyard tasks. Madison likes the smell of horses, and he misses the feeling of “home” when he stays in the city for too long. 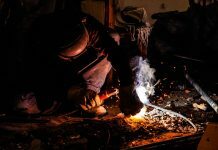 Valuing manual labor is what has already gotten Bumgarner far in life. The 25-year old has a bright future ahead of him, and somehow he manages to balance both busy lifestyles well. Carhartt is a family-owned, Michigan-based workwear company, so the partnership with hardworking Bumgarner was truly meant to be. It seems like he should have to choose between one lifestyle or the other, but since both are important to him, he makes it work. Whether it’s on the baseball diamond or on the property he owns and loves, there really is no place like home. Find all your Carhartt workwear right here at Working Person’s Store!